In this article we’ll give you some tips to keep in mind. If you’re ready to send flowers anonymously, then you can either browse our fresh flower catalogue, or use our quick order form. Every great gift starts with a sentiment. The lovely bouquet you’re sending is more than just pretty flowers, it’s a message. What do you want to tell your loved one? Do you want to show you’re thinking of them on a special occasion? Did they recently do something nice for you or accomplish something grand? Or maybe it’s simply “You mean a lot to me” or “I love you.” In many cases it’s “I love you” when you’re thinking of sending flowers anonymously. Maybe you want to tickle their fancy before confessing how you feel, or let the suspense build until they figure you out. Maybe it’s your way of testing the waters to see how they’d react to someone being interested in them. Whatever your motives are, the flower you send carries a meaning; all flowers do. Here’s an easy one: red roses, a common symbol of romantic love. If you have a secret crush on somebody and want to express your feelings by sending flowers anonymously, by all means go for the obvious gesture. However, there are many other reasons why you may send flowers anonymously, and a type of flowers that is perfect for that message. Read more in this blog about the types of flowers and their meaning. Does the Recipient Enjoy Receiving Flowers Anonymously? Not everybody enjoys getting flowers and not knowing who the sender is! It’s up to you to judge if they will be excited with your anonymous gift, or maybe rather anxious. Please do consider the personal situation of the recipient. 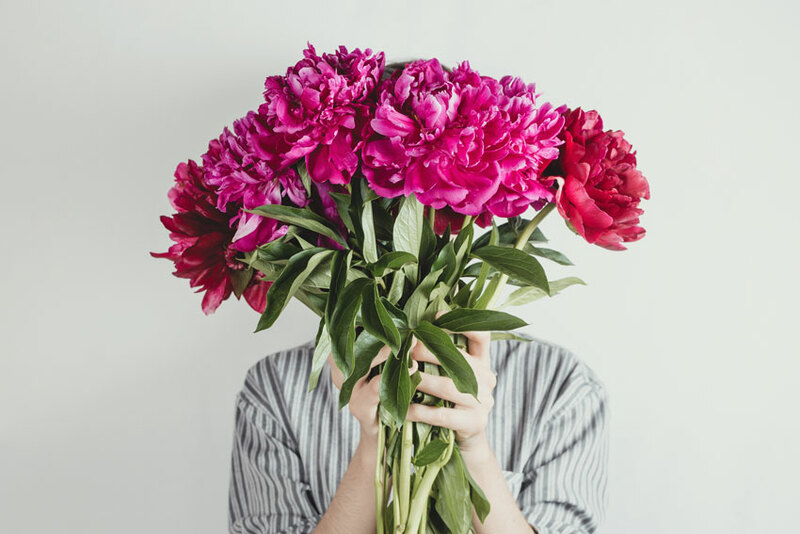 If you are sending flowers to someone who is in a relationship, then your anonymous gift may cause tension and questioning, especially if the sender of the gift is not known! It’s all about being considerate. If you're wondering how to send a gift of flowers: visit our online catalogue and choose the floral arrangement that you want to send, fill out the secure order form, and request that your order be delivered anonymously In the checkout you can indicate that you want to send the flowers anonymously by checking the box: “I wish to give this gift anonymously”. Alternatively you can use our quick flower order form and select the bouquet you wish to send. We will then send the flowers for you. Normally we will call the recipient to make sure they are at home before we make the delivery. If you don’t want that, then please call Brant Florist so we can make alternative arrangements. you can visit our florist's website to make the proper selection. If you wanted to send your special someone a beautiful bouquet of fresh red roses, You may decide to deliver the flowers yourself, if you want to put them in a special place. In that case it is best to simply order the flowers from our site and send them to yourself. That way there is no delivery for the recipient to question and you can hide any evidence of where they came from. When you send someone an anonymous gift, flowers or otherwise, be aware of the possibility that they can figure out you’re the sender or get a hunch that will never go away. That may sound obvious but hey, you’re sending flowers anonymously for a reason. If you never intended to be figured out, don’t worry; chances are they’ll be overjoyed by the surprise gift and appreciative of your kind gesture, and that’ll be that. Now, if you intended to be figured out, what are you going to do to follow-up the flowers? What happens next when your secret lover figures out how you really feel? A creative way of asking them out, perhaps? Are you ready to send flowers anonymously? We have a huge variety in our fresh flower catalogue for you to choose. In the checkout you can indicate that you want to send the flowers anonymously. If you already know what you want, then you can also use our quick order form. You can also include custom cards with the flowers you send, and write a specific message which does not include your name. That’s how you can add a personal touch to the gift of flowers. If you have any questions about how to send flowers anonymously, then please call or email the expert florists at Brant Florist. Not only will we be able to help you pick the best available arrangements, we can also suggest new ideas based on your description of the person and your feelings towards them. Remember to indicate your desire to send the gift anonymously, and we’ll show you exactly how to do it. Contact Brant Florist today to make the arrangements!